Would you be able to give a conclusive answer if you had to explain the finer details of your offshore investment portfolio? What are the fees charged on your portfolio, but more to the point, what is the net impact of the fees compared to the growth on your portfolio? Is the overall performance and growth in line with your expectations? Is the overall performance in line with your actual needs? In which funds is your money invested? Do those funds match your appetite for risk and did the adviser conduct a thorough psychometric risk profile test before investing? These are important questions to ask yourself and it is advisable to talk to your financial adviser if you don’t know. 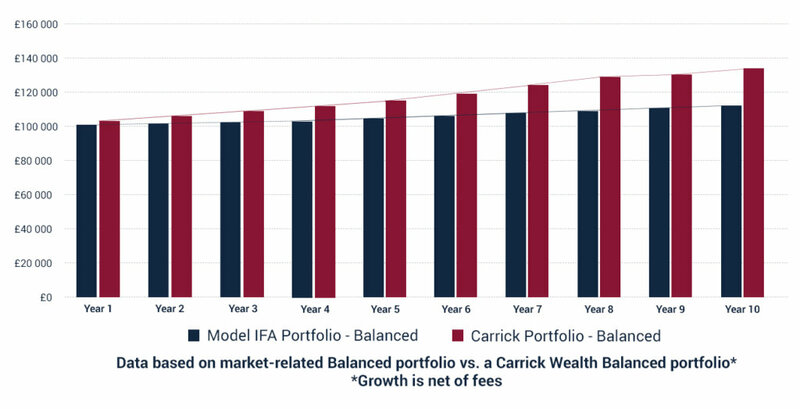 See for instance below how the Carrick Wealth Balanced portfolio compares to a market-related Balanced portfolio and the long-term effect of fees and growth percentage on the amount invested. 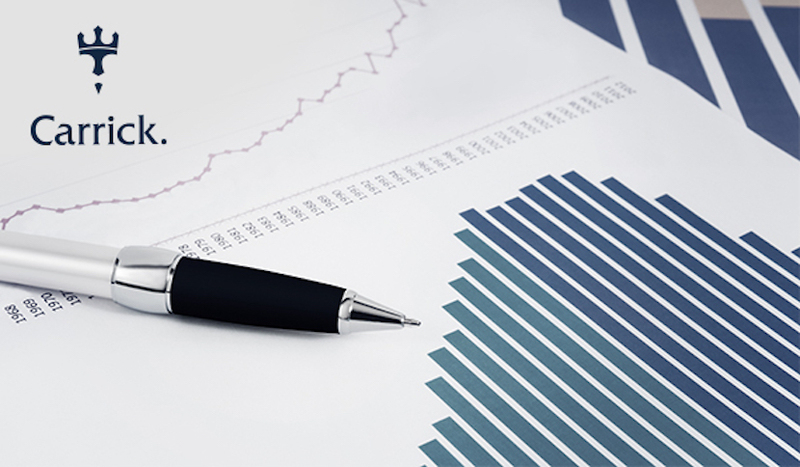 Over a ten-year period, the Carrick portfolio, factoring in fees and growth, increased by more than 31%, while the other portfolio showed 7.4% growth. What should you expect from your financial adviser? A good adviser will paint you a clear picture of how your investments are performing, and will do so routinely while checking in on your current financial situation. Being aware of factors like fund growth and fees is crucial, especially for a long-term investment like retirement savings that will determine your income and quality of life in your later years. Your investments should mirror your expectations and personal situation, so it doesn’t make financial sense for money that you intend to use later in life to reside in a high-risk fund with exorbitant fees. It’s why it’s imperative that your financial adviser knows your financial aspirations, understands your attitude towards risk and continues to foster the relationship on an ongoing basis. It’s something we at Carrick Wealth are particularly passionate about. Do you know if your current investments are aligned with your financial aspirations and needs when you retire? If not, it’s time to talk to an adviser that can give you the answers. At Carrick we make sure you understand where your money is invested and exactly how much you are charged for these services. It’s one of the reasons we are considered the leading offshore investment advisory firm in South Africa. We get second opinions on everything in life, why not on your investments? Click here and one of our advisers can answer your investment questions. Carrick Wealth is a registered South African financial services provider specialising in South African and international financial planning. Carrick is also licensed in Zimbabwe, Botswana and Malawi, and holds three global licences in Mauritius. Carrick at all times maintains its independence with regard to product providers and asset managers, providing bespoke risk assessment, financial planning and other services to high net worth individuals (HNWI). Through our own qualified and experienced financial advisers, as well as through partnerships with industry leaders in the fields of foreign exchange, tax, international property, offshore bank accounts, trusts, wills and estate planning, Carrick is able to provide the highest levels of service for your financial planning and investment requirements, both offshore and domestic. This communication is intended solely for information purposes for the use of designated recipients and is not an offer, recommendation or solicitation to transact. While it is based on information available to the public and from sources believed to be reliable, Carrick makes no representation that it is accurate or complete or that any returns indicated will be achieved.